Spring Valley is an upscale neighborhood located in the far western end of the northwest quadrant of Washington, DC. The neighborhood is best known as the site of the main campus of American University. Spring Valley is also home to a number of Washington’s notable media personalities as well as politicians and other members of Washington’s elite. Lyndon B. Johnson, Richard Nixon, and George H. W. Bush all lived in Spring Valley before becoming President. Embassy residences in the neighborhood include Canada, Mexico, Chile, South Korea, and Qatar, among others. Spring Valley’s winding streets are framed with mature oak trees and known for its large houses and meticulously groomed yards. The architectural style is dominated by brick colonials with some Tudors. Properties on Rockwood Parkway are worthy of being termed mansions and are set back on spacious lawns. Residents cite the safe, suburban feel with the convenience of a DC address as the main advantage of living there. 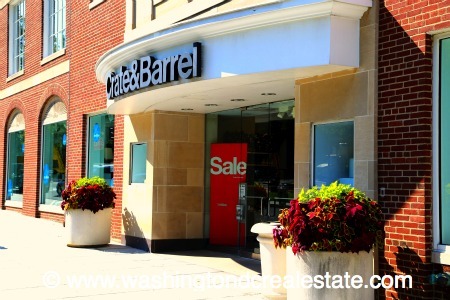 While the Spring Valley Shopping Center located on Massachusetts provides the “basics” – a CVS, several restaurants, a market, and a couple of coffee shops -- residents can also easily get to Tenleytown, Cleveland Park, or Georgetown for more options. In fact, residents rely on the Metro buses going up and down Massachusetts Avenue to the downtown as well as easy commutes by car to Virginia and Maryland. Spring Valley boundaries range from Massachusetts Avenue to the northeast, Nebraska Avenue and Loughboro Road to the south and Dalecarlia Parkway to the west.